STC on "Clean Energy System and Technology"
Department of ECE has eminent faculties guiding the students not only to dream for success but also to gain skills to achieve success. NIT Goa is a cosmopolitan institute with a conducive environment for students to grow in their career of choice, as well as, as an individual. Department of ECE has eminent faculties guiding the students not only to dream for success but also to gain skills to achieve success. MTech VLSI program provides an excellent platform to learn industry necessary skills through courses such as Analog/Mixed Signal IC Design, Digital IC Deisgn, VLSI Testing & Testability, CMOS Memory Design and encourage students to develop positive research temperament. I feel honored to receive masters degree in VLSI from NIT Goa. Current Affiliation: Component Design Engineer, INTEL Technology, Bangalore. The Department is fully equipped with VLSI Lab with latest licensed tools. I am thankful for the opportunities I got when I was part of the NIT Goa family. The labs and lectures helped me a lot in understanding the difficult concepts. This led me to get the internship at Memory Design Team, GlobalFoundries where I am currently working as Sr. Engineer. The 24 by 7 VLSI Lab facility helps students to work freely at time of their flexibility. The NIT Goa has an active learning environment where teachers interact with students about the possible ways for a contribution to the research. The postgraduate students of Electronics and Communications are encouraged to implement their ideas in tools like cadence design and xilinx. The students are also encouraged to fabricate the designed circuit in foundries. The 24 by 7 VLSI Lab facility helps students to work freely at time of their flexibility. The Teaching Assistantship targets the technical knowledge sharing between the first year and second year students. The VLSI lab has a unique seating arrangement which makes sure that the students get direct access to the faculties expert in Analog/Digital circuits and systems. The essence of the department lies in the supportive faculty, gentle seniors, informative and research oriented ambiance. graduates and post-graduate students in various fields. technical understanding but also improvement of the overall personality. The VLSI department also has a collaboration with foreign universities. know about the state of art technologies along with opportunities for the doctoral courses in the relevant university. working as an intern in the Infineon Technologies, Austria AG. nontechnical staff, and administrative staff for their support and mentorship. NIT Goa is a great place to study. The M.Tech, VLSI course I took from NIT Goa is of excellent standard and makes students capable of resolving challenges faced by industry/research. I loved the freedom that our department gave us. We had very knowledgeable faculties in the field of VLSI, who encouraged and helped us all the way. They taught us how to think differently towards a problem and come up with simple but elegant solutions. We saw their dedication and positive attitude towards work /life, and they instilled positive values in our life apart from the exceptional technical knowledge they imparted. 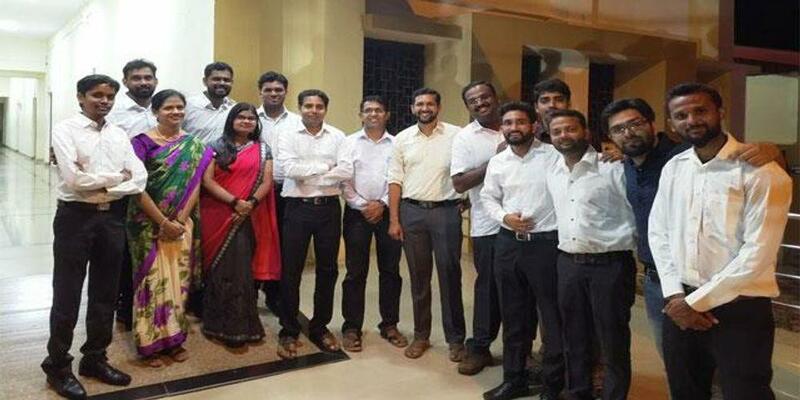 The timeless friendships, I made in NIT Goa is one of the best thing I achieved in my life. NIT Goa taught me how important it is to NEVER STOP LEARNING. NIT Goa offers a blend of learning , delight and integration of enduring principles. NIT Goa offers a blend of learning , delight and integration of enduring principles. As a VLSI student it provides a wide arena of the field and thus I get to learn something new with every subject. The entire ambiance makes it easy for a student to learn and inculcate the spirit to stand out amongst the talented and hard-working students. What amazes me is the plethora of extra curricular activities that the Institute offers hence compelling every student to explore and pursue his/her extra talents. The Institute manages both the areas extremely well and a student always finds himself in a pool of never ending opportunities, be it technical or non-technical. Another feather in the cap is the professors that impart quality education to its students. Never can a student find himself lost in a concept and professors not being able to rescue him! Currently working as Sr Product Development Engineer (R&D ASIC) in GlobalFoundries. Department Congratulate Dr. Mallikarjun Erramshetty for presenting the paper titled "Shape Reconstruction of Dielectric and Conducting Objects using Linear Sampling Method and Limitations" in International conference in RF and Microwave,Asia Pacific Radio Science Conference-2019 held at New Delhi. Department Congratulate Dr. T. Veerakumar, for receiving a "Core Research Grant" project titled “Design and development of acoustic methods for early detection of stem and root borer Plocaerus spp infestation in cashew” with the research fund of approximately Rs. 48,00,000/- in collaboration with Central Coastal Agricultural Research Institute, Old Goa, Goa from DST (SERB), Government of India. Department Congratulate Dr.Trilochan P for presenting a paper in the 25th IEEE National Conference on Communication 2019 NCC-2019, held at IISc. Bangalore, India from 23-25 Feb 2019. Ms. Preeti Mahaveer Jagadev (Research Scholar), under the guidance of Dr. Lalat Indu Giri has been selected for participation in "São Paulo School of Advanced Science on Modern Topics in Biophotonics" University of São Paulo,São Carlos, SP, Brazil with full financial assistance from the organizers. 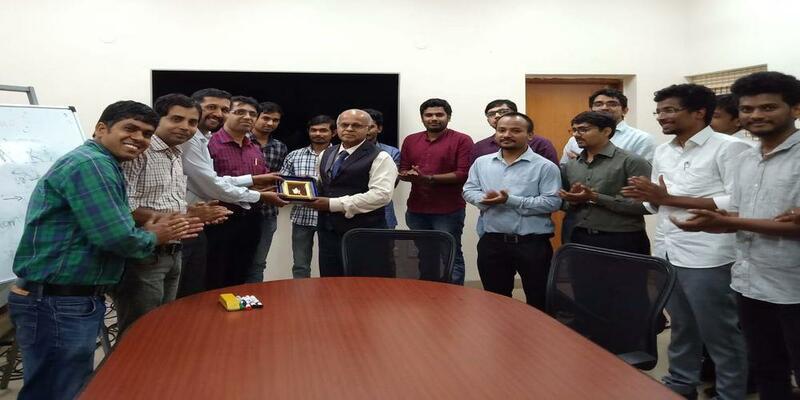 PhD Students Mr.Vivek Sharma and Mr.Siddharth Kala awarded with VLSID 2019 fellowship to attend the Conference held at New Delhi Jan 5-9, 2019. Department Congratulate Dr. T. Veerakumar for becoming NIT Goa Examination Incharge. Department Congratulate Dr. Mallikarjun Erramshetty for winning 3rd prize for Chess in AIINIT-2018. Department congratulate Ms. Alvares Lorraine Anne for securing first position in B.Tech ECE 2014-18 batch. Department congratulate Ms. Shobha for securing first position in M.Tech ECE-VLSI 2016-18 batch. Mr. Naresh Kumar Reddy awarded with the doctorate degree during convocation 2018, which is first time in the department history. Department congratulate Dr. Naresh Kumar Reddy for his achievement. The Department also has important softwares like Cadence, Visual TCAD, Mentor Graphics, Xilinx, Synopsys, MATLAB, PSPICE and KEIL. The ECE department comprises of some of the best faculty who are very encouraging and allow one to pursue research in their areas of interest making it a very diversified department in terms of research. Since the time of my internship in my 3rd year at NIT Goa combined with the coursework in Digital Signal processing, I began my career in the area of audio signal processing which eventually progressed me into publishing a research paper in the area as well as securing a world ranking of 11 in a worldwide competition for Making Sense of Sounds Challenge hosted by BBC. The ECE department comprises of some of the best faculty who are very encouraging and allow one to pursue research in their areas of interest making it a very diversified department in terms of research. Coursework and projects I did at NIT Goa proved to be a great starting point for me to make a career in robotics and autonomous systems. 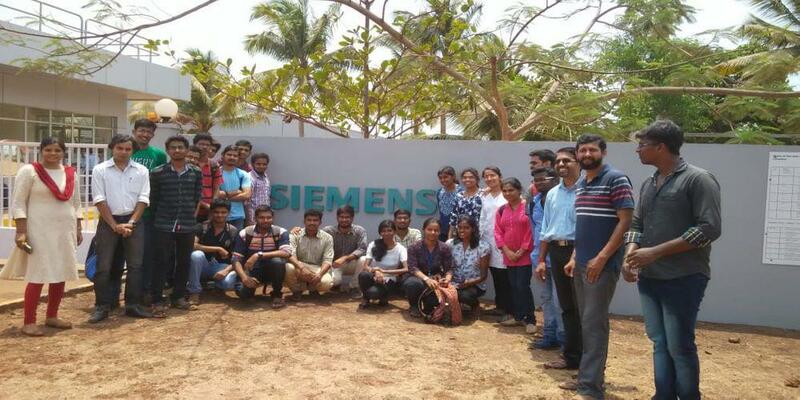 I was part of the second undergraduate batch of NIT Goa. Despite minimal infrastructure and staff during the early years, NIT Goa provided me numerous opportunities to acquire new knowledge and practical experience. Professors and staff of the ECE department were incredibly supportive and encouraged me to pursue my interests in robotics. Coursework and projects I did at NIT Goa proved to be a great starting point for me to make a career in robotics and autonomous systems. Department of Electronics and Communication Engineering has faculty with active research in broad areas of VLSI, signal processing and communication. NIT GOA is a great learning place for any undergraduate student. Institute has a good student-faculty ratio which is an absolute indicator of the quality of attention and confidence each student gets. Department of Electronics and Communication Engineering has faculty with active research in broad areas of VLSI, signal processing and communication. Young faculty across all the present departments allowed us to think out of the box and try out things with their support. There was never a ‘no’ said by the institute to student aspirations. Institute always gave a strong motivation to whatever we strived to do. The approachability to the people in the institute is always helpful to bring quick changes in rules for good cause. The academic, co-curricular and extracurricular activities help the students to explore themselves and pave a way to the future. I surely wanted to thank my institute for all the opportunities I got during those amazing 4 years and helped me to find myself. The faculty were young and energetic and always pushed for innovation and were genuinely concerned about our progress. I entered the gates of mighty institute not knowing what I would do in my life 4 years later I was more wise and had a rough map of the things ahead. Those 4 years were a time of extreme experimentation that imbibed me with a variety of experiences. It was a time for deep contemplation and immense peer learning with discussions ranging from spirituality to quantum physics. 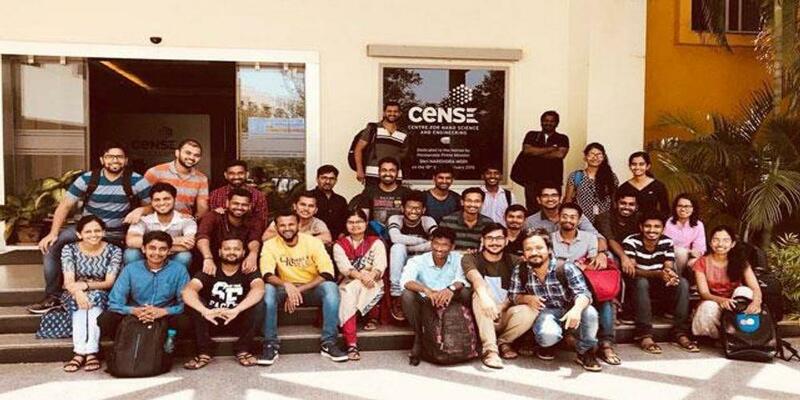 The unique thing about the department of ECE was the added support that we got from our faculty members, the faculty were young and energetic and always pushed for innovation and were genuinely concerned about our progress. The lower student size and a higher student to professor ratio means that the professors are better able to pay attention to individual students. NIT Goa undoubtedly is one of the top institutions in the state and country today. The curriculum is on par with that of other NIT like Surathkal, Trichy, Warangal etc. The lower student size and a higher student to professor ratio means that the professors are better able to pay attention to individual students. The institute has a robust and excellent infrastructure for the courses currently offered. The institute understands the need for well rounded education and as a reason the curriculum is designed in a way which is industry relevant and includes courses like business communication and economics apart from the technical courses. The ECE department of NIT Goa, is equipped with highly intelligent faculty with doctorates from top technology institutes of the country. The one thing that differentiates the ECE faculty from other departments is their open culture, the professors are easily accessible and very down to earth despite their high credentials. This promotes strong interaction and learning environment where students can talk to professors about any difficulties or any issue they are facing openly. I find that institutes all over the country should adopt such a culture because tech courses are highly stressful and institutes need to show that they care about the students. NIT Goa is a place which stimulated my intellectual curiosity. It was the place that molded me into what I am today. I chose ECE as a field of study because it was something that interested me very much. Especially the fact that you learn a lot of the fundamentals of both computer science and electrical engineering during the course. It also opens up a broad array of opportunities for higher studies. Although I had a strong interest in technology, I found my calling in finance and economics and thanks to one of the courses offered at NIT Goa. 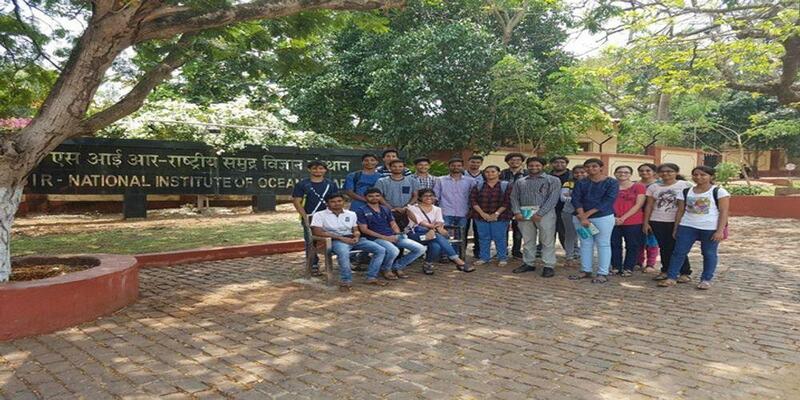 I was also given the opportunity to be the Joint Secretary of the ECE students council and we organized various workshops and organized NIT Goa's first techno cultural fest. After graduating from NIT Goa. I pursued my MBA at IIM Indore and am currently working as Investment Banking Analyst at HSBC Global Banking Markets which is the investment banking devision of HSBC. So you might start your education/career from one place but you never know where you might end up and that's what makes life interesting. In fact in today's interconnected world you will find that the lines between various fields are blurring and you will find that technology is getting integrated into various fields of study today. So it's important to learn whatever you want to and pursue whatever interests dear to you. NIT Goa is the perfect place to start your journey. Dr. P Subbanna Bhat, Former Professor of NITK Surathkal, will be delivering a lecture on " Feed-back Systems" on 2nd November 2018 at Institute Seminar hall. Time: 9 AM to 12.30 PM.